Buy your ENPHASE battery at the lowest price - online only. This battery has an expected lifetime of 20 years with more than 7300 cycles. This is equivalent to 250 to 350 cycles per year on average. 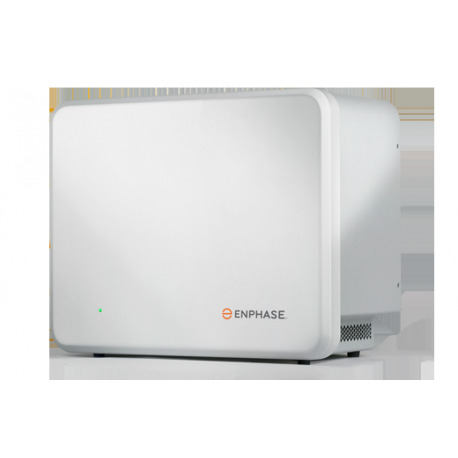 In addition, the ENPHASE domestic batteries allow a discharge rate of up to 80%. You get a much greater storage capacity than with lead batteries. By connecting the ENPHASE Lithium batteries to your solar panels + Enphase micro-inverters, you obtain a storage of 1200 Wh. The wall support is required for the proper functioning of the battery. Please refer to the accessory tab of this product page. Lithium battery: The ENPHASE Battery is a lithium battery. The advantage over lead particularly lies in a more efficient charge / discharge cycle. In addition, the materials used are less hazardous to the environment. 80% of discharge: This battery offers you a discharge of 80%. You have a capacity of 1200 Wh that you can unload to up to 960 Wh. Number of cycles: 7300: The long life cycle of this battery makes it ideal for long term use. With an average of 250 cycles per year, the domestic ENPHASE battery has an estimated lifetime of 20 years. 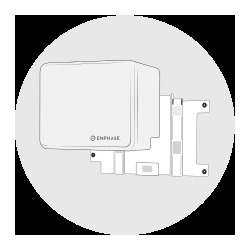 Lightweight and design: The ENPHASE 1,2kWH domestic battery weighs 25k g. Its simple and narrow design will allow you to install it easily at home. 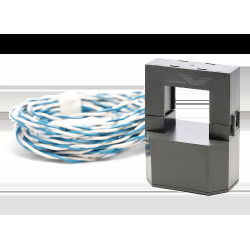 Operating temperatures from -20°C to 45°C guarantee optimum use in every location. Capacity of storage: 1200 Wh: This battery has a capacity of 1200 Wh. This equates to 1200 W for a period of 1 hour. If this is not sufficient, you can purchase these same batteries multiple times and enhance the capacity of your installation further.